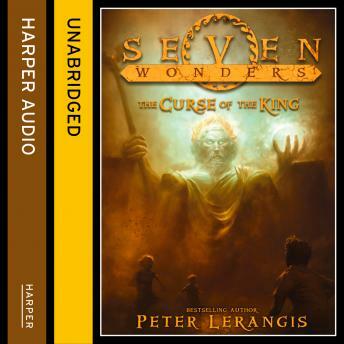 The fourth book in the thrilling SEVEN WONDERS series. "A high-octane mix of modern adventure and ancient secrets... I can't wait to see what's next." Rick RiordanTHREE BATTLESThirteen-year-old Jack McKinley has fought impossible odds to save himself, his friends, and the world. Having already defeated the Colossus of Rhodes, hunted through Ancient Babylon, and outfoxed legions of undead, the Select have recovered three of the lost Loculi hidden in the Seven Wonders of the Ancient World, only to lose one of them in order to save a life. They must now find a way to undo what has been done, to save themselves from the power that will overwhelm them-and destroy the world.TWO RIVALSNot only do Jack and his friends have to unearth these seven ancient wonders, but they also have to contend with the Massa, an organization bent on using the Loculi for evil. The Massa have taken over the Karai Institute and convinced former friend Marco to switch sides. Outnumbered, underequipped, and growing weary, Jack, Cass, and Aly come upon their greatest challenge yet-the long-lost Statue of Zeus.ONE ENEMYAs time runs out, our heroes must confront gods, relive old battles, and face-down their own destiny. Old enemies become new friends and sudden victories turn to certain defeats as the time nears for everything to change.